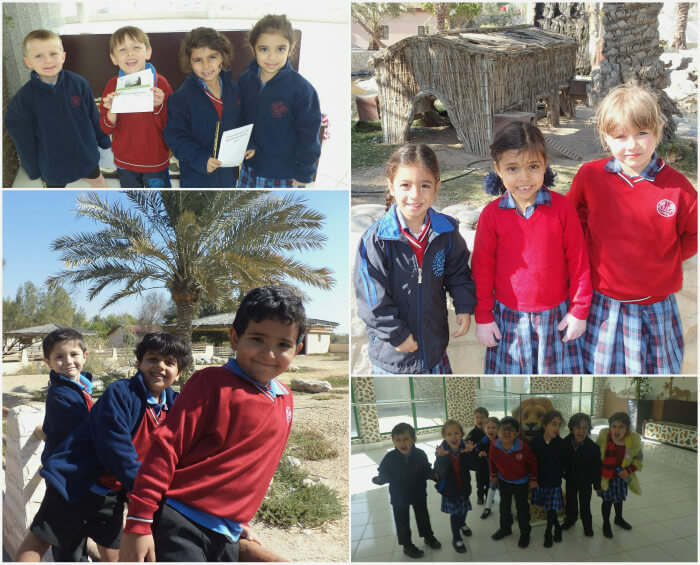 Reception braved the cold as they wrapped up in lots of layers and set off for Al Areen last week. The sun did shine even though there was a chill in the air! 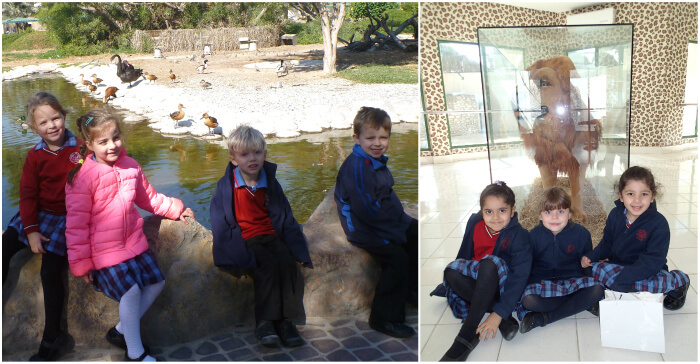 The children all had a super time looking at all the animals, particular favourites being the zebras, the white tiger and the chimpanzee. We managed to see the pelicans being fed and we even had a cheeky camel grumbling at the passers-by and an ostrich pecking on the window to get the children’s attention! The children did not forget their search for minibeasts as this is our topic at the moment and many were very successful, finding spiders, ants and woodlice. Thank you to all the parent helpers who came to support this trip, as ever, these trips could not go ahead without your help.